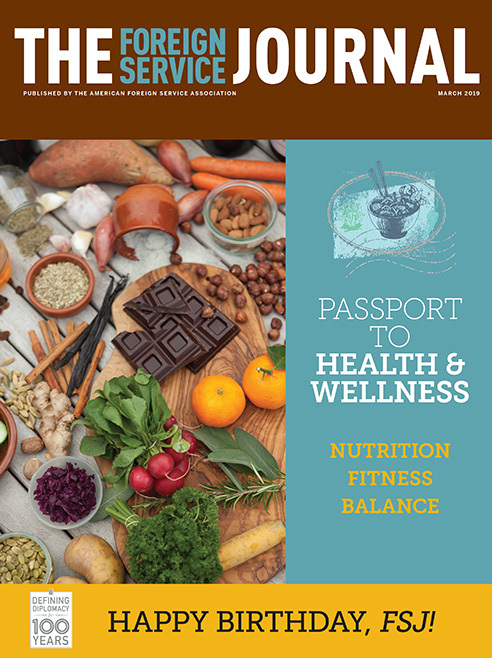 The March issue focuses on food and fitness in the Foreign Service. A culinary adventure that started with her mother’s special recipes has given one FSO the power to thrive from post to post around the world. The ability to adapt in the presence of risk and adversity is crucial for members of the Foreign Service. Happily, it’s a talent that can be learned. A sampling of recollections from members of the Foreign Service community.